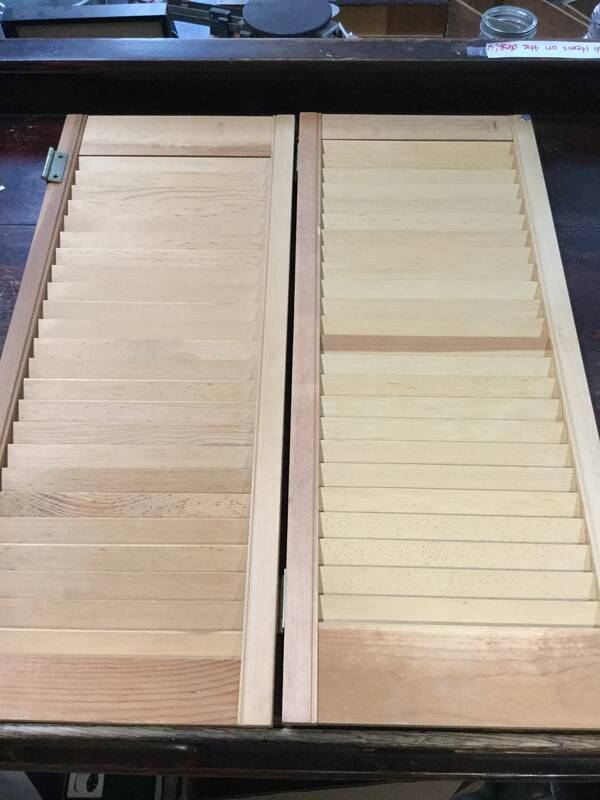 Small wooden Shutters sets of two. natural wood color. Small wooden shutters natural color. one shutter size 29'' x 12'' x .75''. sold in sets. Antique style cast iron prisoner handcuffs with key.